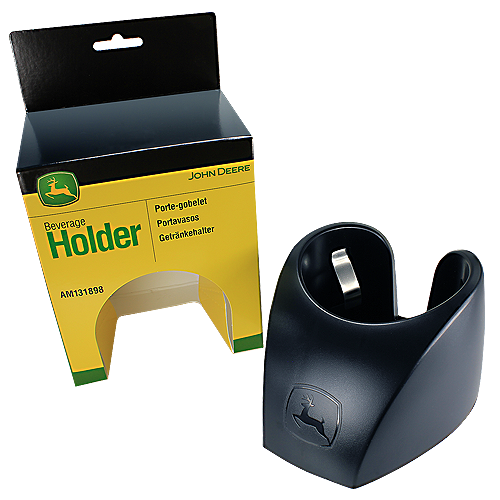 A genuine John Deere #AM131898 Fender Mount Beverage Holder. Keep a refreshing drink handy while you're on the go with this easy to install cup holder. Attaches with strong adhesive strip on the bottom. Internal spring metal strips keep your drink in place, and adjust to a wide range of container sizes. Slotted for drainage. Works on nearly any tractor, boat, or utility vehicle. Embossed with JD's "leaping deer" logo. Original Equipment (OEM) part.